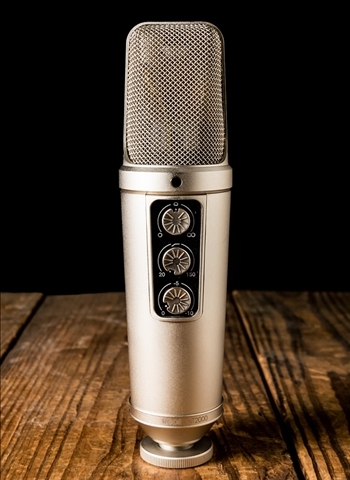 The RODE NT2000 microphone is a studio-quality large diaphragm condenser with seamlessly variable polar patterns. Its polar patterns selection, filter and pad are conveniently located on the front of the microphone body for ease of use. The RODE NT2000 microphone is designed and made in Australia, and covered by RODE's industry leading 10 year warranty.